Several years ago, Herb was teaching a unit on manners at school and we thought it would be fun to have a visual aid for him to do that with. 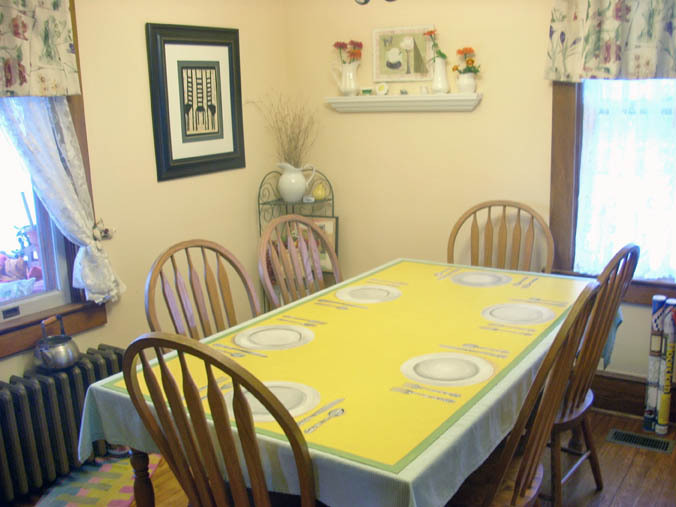 I had been making floorcloths for the house because they are maintenance free rugs and with dogs that is good, so we decided to do a floorcloth that looked like a table set with dishes so that when he discussed going to a restaurant with the children he could show them the correct way to behave at a table. 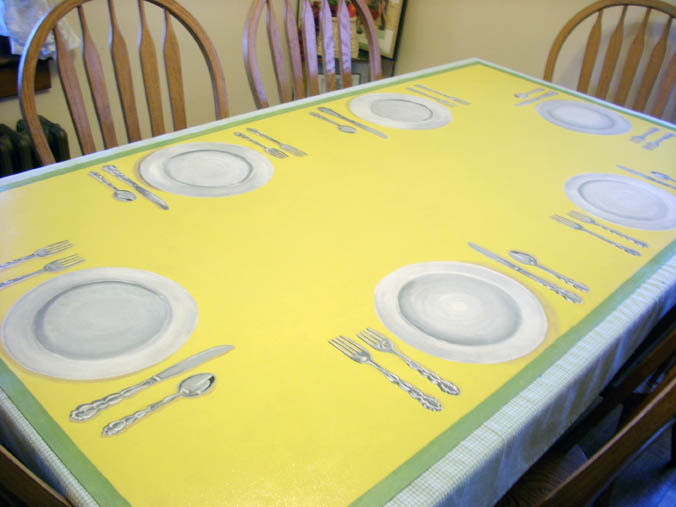 I made the floorcloth to fit our dining room table and recently it has been showing some wear so I gave it a touch up and thought I would share it with everyone today. As you can see, by itself on the table it has the illusion of having dishes on the table. I put a tablecloth under it and can change that out as the seasons change and usually take it off the table during the holidays because I want to decorate more festive then. 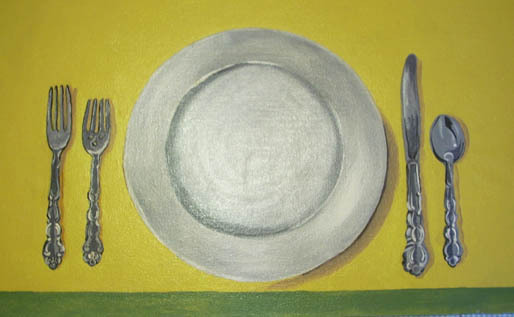 Sometimes it is really deceptive and you reach for a piece of silverware and there isn’t really one there. The small shelf on the wall was in the living room until yesterday. 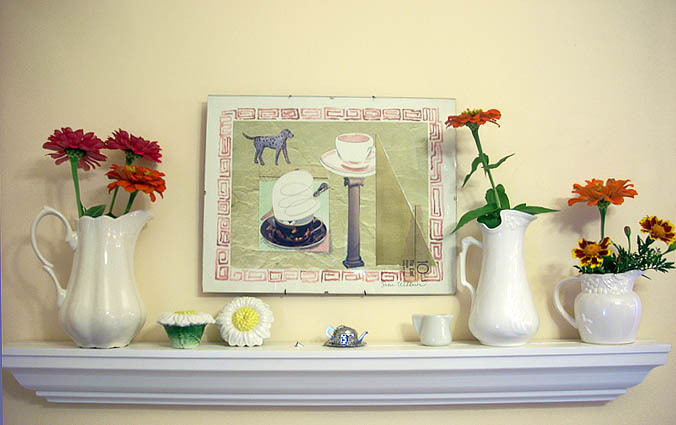 I saw some of the last zinnias in the yard and used some of my white pitcher collection to add a small vignette on the shelf and add some color to that wall. Susie Morgan Wilburn • This entry was posted in floor cloths, House, paint and tagged manners, table settings, trompe l'oeil. Bookmark the permalink.